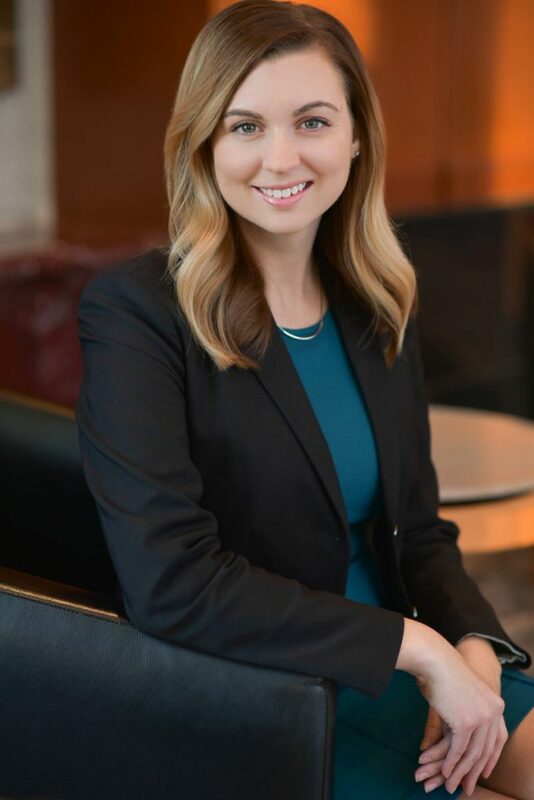 As an Advisor on the Johnson team, Lauren Hunt strives to serve as an advocate for her clients. She enjoys identifying opportunities to empower her clients to life their best life. She serves as a partner as clients navigate the different stages of life – from getting married, starting a family, buying a home, investing for retirement, and beyond. Lauren joined the Johnson team in 2012 as a Client Service Manager then became an Operations Manager in 2015. Lauren earned her Bachelor of Science in Accounting from Missouri State University and MBA from University of Missouri – St. Louis. She furthered her technical skills by obtaining the CERTIFIED FINANCIAL PLANNER™ designation in 2016. As the Johnson team grew, Lauren’s role on the team expanded to Advisor in 2018. Outside of Moneta, Lauren and her husband, Ben enjoy remodeling their home in St. Peters, Mo. They have a young son, Ari and goldendoodle named Cinna.